Understanding what is a deed in lieu of foreclosure is important for knowing all of a homeowner’s options available for foreclosure defense. Foreclosure defense isn’t always about trying to keep a home. For some homeowners, getting rid of their home and avoiding foreclosure is a better option than attempting to save a home that the homeowner is not able to afford. Foreclosure defense is not about getting a free home; if a homeowner has no means to afford a modified mortgage loan payment, foreclosure is almost always inevitable. With a deed in lieu of foreclosure, the homeowner voluntarily conveys the home to the bank or lender. The homeowner no longer owns the home, and the bank or lender becomes the record title owner. This is the same result that occurs in a foreclosure, with the exception that no foreclosure occurs: the homeowner has instead voluntarily given up the property. A deed in lieu of foreclosure helps a homeowner avoid the stress, hassle, and stigma of foreclosure, and lets them get rid of the property on their own terms. For a bank or lender, a deed in lieu of foreclosure saves the time and expense of having to do an often lengthy foreclosure proceeding. Banks or lenders will generally only consider a deed in lieu of foreclosure if there are no encumbrances on the property, such as a lien or second mortgage. A foreclosure, with few exceptions, provides a foreclosing entity with a “clean” title: all encumbrances second to the lender’s interest are wiped out in a foreclosure. In contrast, if a lender accepts a property with a lien on it, this lien remains on the property, making it difficult to resell. Homeowners interested in a deed in lieu of foreclosure can contact their loan servicers to see if this option is available to them. Compared to a loan modification, a deed in lieu of foreclosure is generally a straightforward process. Homeowners, however, should still speak with an attorney to review their paperwork and ensure the process is done to their advantage. It is important, for example, that any potential deficiency judgment coming from the deed in lieu of foreclosure is waived by the lender, and the tax consequences of one of these deals is considered. Happy 2017! I hope the new year is a good one for you. In this post, I want to discuss why you should speak to a lawyer for legal advice; advice that will serve you well in this new year (and for years to come). If I had to guess, I would say that more mistakes in law are made from people who receive “legal advice” from non-lawyers. The biggest culprit, of course, is the Internet: today, it is easier than ever to create a official looking website that claims to be the authority on an area of law. This occurs for all different types of legal matters, but especially for foreclosure defense: the Internet is filled with websites that attempt to explain foreclosure defense myths to vulnerable homeowners. As the old adage goes, “saying something doesn’t make it so.” Merely creating a website, or offering purported “legal advice”, does not make that information truthful. Many times, such advice—while well intended—is flat out wrong. The results can be devastating: I have seen claimants lose cases (and their homes) from relying upon advice with no basis in law. Those offering such “legal advice” won’t tell you what I will write here: law is difficult. TV lawyers may make our work seem easy, but the truth is that lawyering requires enormous time, effort, and yes, training. Training is the key part of this: we require lawyers to attend law school and pass bar examination for a reason. No, law school alone doesn’t fully prepare someone to practice law, but a legal education is essential for making tough legal decisions. With this in mind, you should never, never, never trust anyone but a licensed lawyer for legal advice. Speak to a lawyer for legal advice, and avoid the inevitable problems that come from taking poor advice from a non-lawyer. The picture above is a coffee mug available for sale on Amazon; it is meant as a “gag gift”, but its slogan has an essential message: don’t replace the advice of a trained attorney with something found on a random website. This post isn’t meant to discard the use of reputable websites and information sources that assist those with legal needs. I am proud that this blog has helped many homeowners and other lawyers in making important decisions on legal matters. This blog, however (like any similar legal resource) is merely an aid towards helping those with legal needs get the assistance they need (a reason why I encourage anyone with help in defending against a foreclosure to consult an attorney). The Massachusetts Foreclosure Law Blog is proud to have Attorney Uri Strauss guest blog on the Massachusetts foreclosure title clearing bill and its upcoming December 31, 2016 deadline for homeowners who have lost their homes to foreclosure. Uri Strauss is an attorney at Community Legal Aid in Springfield, MA. He has been a Massachusetts attorney since 2010, and has focused on foreclosure law since 2011. He may be reached at ustrauss@cla-ma.org. If your Massachusetts home has been unlawfully foreclosed, you may need to act very soon to preserve your ability to challenge it. On November 25, 2015, Governor Baker signed into law An Act Clearing Title to Foreclosed Properties, which amended, among other laws, Massachusetts General Laws Chapter 244, Section 15. In a nutshell, the act aims to force homeowners who have left their homes after a foreclosure to bring their case to court within three years, or lose the right to do so against bona fide buyers. This is a reduction of the previous 20-year period during which people could challenge foreclosures that failed to comply with the power of sale. The deviltry is in the details of this confusing law. This post aims to clear up some of the confusion, and especially to help homeowners identify if they need to act before December 31, 2016 when the first set of people will lose their rights. The other point of this post is to warn people against misinformation about what they need to do to preserve their rights. In all cases, you should consult an attorney, if possible, about your particular situation. I am offering guidance in general, not legal advice for your particular situation. My aim is to respond to three questions: Who needs to act before December 31? How does a homeowner need to act to preserve his or her rights? And who is entitled to challenge the foreclosure? Who needs to act before December 31? If it has been fewer than three years since the foreclosure affidavit has been recorded in your registry of deeds, you do not need to act before December 31 to preserve your rights. You will have until at least three years after the recording of the affidavit. However, if you are already in court in a foreclosure challenge, it is a good idea to record your pleadings. See below for details about the foreclosure affidavit, and about what it takes to challenge the foreclosure. If it has been three or more years since the foreclosure affidavit was recorded, you need to act to preserve your rights if you fall in one of the following three categories. People who have moved out of their homes, without the validity of the foreclosure ever being litigated. People who are currently in litigation over the validity of their foreclosure. People who have litigated the validity of their foreclosure and won, when there is no deed granting the property back to the owner after foreclosure. Please note that most lenders and servicers will also conduct a foreclosure by entry at the same time as the foreclosure auction, and that foreclosure is effective after 3 years if it is not opposed. Foreclosure by entry is a whole separate and complicated topic, and I won’t get into it here. If you intend to challenge a foreclosure, be certain to contact your local anti-foreclosure group and/or an attorney about it well before three years have passed. If you are currently in litigation, do not assume that you are protected. Do not assume that your attorney has thought to take the necessary steps to protect you. Raise the issue with them. Depending on how courts interpret the law, you might get away with missing the deadline if you win your case, but it is risky to rely on it. You may notice, if you read the amended M.G.L. Chapter 244, Section 15, that only bona fide third party buyers, and not the lender or related organizations like Fannie Mae or Freddie Mac, have the benefit of the new law. Do not rest assured just because the bank or a related entity has bought your property at foreclosure and has not sold it. As I read the law, your failure to act by the deadline, followed by a sale to a third party, eliminates your right to challenge the foreclosure once it is sold. In other words, your title can be laundered while in the bank’s control, then sold clean to a third party buyer. The three-year clock starts ticking when the mortgagee records an affidavit of sale in the registry of deeds. The affidavit of sale you are looking is usually recorded together with the foreclosure deed as a document type called “Foreclosure Deed/Affidavit”. It might be titled something different than “Affidavit of Sale.” The affidavit identifies the mortgage that was foreclosed, says that the conditions of the mortgage were not performed, and states that notices were published in a newspaper on three dates and sent by mail to the required parties. A copy of the newspaper publication is attached to it as an exhibit. Do not confuse this affidavit with other affidavits that may have been filed, such as an affidavit concerning the note (also called an “Eaton” affidavit), an affidavit concerning compliance with M.G.L. chapter 244, section 35B, an affidavit certifying compliance with 209 C.M.R. section 18.21A, or an affidavit concerning the right to cure (also called an “Pinti” affidavit). It is the opinion of some respected attorneys that the affidavits of sale typically filed by mortgagees do not start the clock running, because they do not, as the law requires, “fully and particularly stat[e] the acts” done to foreclose the property. The affidavits are usually brief, do not fully state the facts, state legal conclusions instead of facts, and are made by people who do not have firsthand knowledge of the facts. I believe that this is a mistake, and that the courts will accommodate this failure by the banks to comply with the law, just as they have done with almost every other failure that they have considered. How does a homeowner need to act in order to preserve his or her rights? To preserve your right to challenge your foreclosure, it is necessary to record the relevant *pleadings* in the registry of deeds. It is not enough to record an *affidavit* in the registry, as the Massachusetts Alliance Against Predatory Lending (MAAPL) has been informing people. The law is very clear that pleadings must be filed. What is the difference? An affidavit is a sworn statement of facts based on personal knowledge. A pleading is a document filed in court in which legal claims are made. The purpose of the new law is to force people to litigate their claims by the deadline, not simply to make a sworn statement and record it in the registry of deeds. If your deadline is coming up and there is no existing litigation, you need to create litigation by filing a lawsuit. What is more, if you want to actually succeed, you need to file a good case. That means that you need to have a good argument based on your particular circumstances. It will not do to use far-fetched theories of the kind that often circulate on the internet. It is important to speak to an attorney to determine whether you have a good legal argument. Note that to be valid, the pleadings should be from a court case from a court of competent jurisdiction. In my view, if you challenged the foreclosure as a defense to foreclosure proceedings in Housing Court, that is definitely an appropriate court. If it was in a state district court, that is almost certainly an appropriate court. If you were the plaintiff and you filed your case in Superior Court, Land Court, or the federal District Court, you are probably fine. If it was any other court, consult an attorney about whether it was a court of competent jurisdiction. That means that if you fall into category (1) above, you need to file a lawsuit in the next few weeks, and record an attested copy of your complaint, to avoid losing your home. If you are in categories (2) or (3), your task is easier. You need to get an attested copy of your complaint, if you were the plaintiff, or of your answer, if you were the defendant, from the clerk’s office of the court in which the litigation is taking place or took place. If the complaint or answer was amended, make sure to get the most recent version, since the complaint or answer should state the foreclosure challenge that the court ruled on, or that you hope the court will rule on. If you have fought and won your case, you still need to record the *pleadings*, rather than the court’s judgment, in the registry. You might think it makes more sense to record the judgment, in which the court states that it finds in your favor. I would agree, but that is not what the law says you need to do. According to the law, you need to record a “true and correct” copy of the pleading in the registry of deeds. Does this mean that you can rely on just a photocopy of the pleading? In my view, yes – but the challenge is to get the registry of deeds to record it. The registry is not required to accept any piece of paper you hand to it. The new law requires registries of deeds to accept and record attested copies of pleadings, and this is what I recommend. “Attested” here presumably means attested by the court in which the case is being decided. It may be possible to preserve your rights under the act by signing an affidavit under M.G.L. Chapter 183, section 5B, attaching the pleading is an exhibit, swearing that it is a true and correct copy of a document filed in the court, and having it certified by an attorney as bearing on title – but I recommend getting an attested copy to be on the safe side. To get an attested copy of your pleading, first call ahead to the court in which your case is being heard and let them know you want this. They might ask for a couple of hours to create an attested copy. Then show up and get your copy. It currently costs $2.50 per page to get attested copies of court documents. If you are poor, low-income or on state assistance, you may qualify for a waiver of fees – ask the court about it. Then go in person to the Registry of Deeds in your district, and ask them to record it. Take a printed copy of the statute – Massachusetts General Laws, Chapter 244, Section 15, Subsection (d) – with you. Registries of Deeds have not historically accepted attested copies of pleadings for recording, so you may need to show them the law that says they need to. I believe the cost of recording the document is $75. You can ask the Registry of Deeds about waiver of fees for poor, low-income or state-assisted people as well. Who is entitled to challenge the foreclosure? 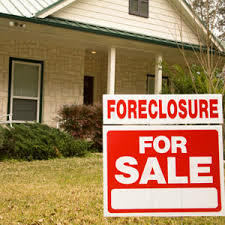 To be eligible to challenge the foreclosure, you need to be a person entitled to a notice of foreclosure, which means that you need to be the person who gave a mortgage to the lender (which is not necessarily the same as the person who obtained the loan), or else a person who held an interest in the property junior to the mortgage more than thirty days before the foreclosure sale. Based on this statute, you are not entitled to challenge the foreclosure if you are the spouse of the mortgagor, the child of the mortgagor, or the tenant of the mortgagor, unless you yourself are a mortgagor, or you happen to have a junior lien on the property. This represents an apparent change in the law. It used to be the case that if a foreclosure was void, any person whose rights were affected by it – a spouse, a child, a tenant, a long-term guest – could challenge its validity. The new law clearly restricts it so that only persons entitled to notice can challenge the foreclosure. What about after the pleadings are recorded? If you have recorded your pleadings challenging a foreclosure within the time limit, do you have the benefit of the previous 20 year rule? Not necessarily. There are at least two ways a foreclosure can be undone by a court. A foreclosure is void if it is not conducted strictly in accordance with the power of sale, or if it fails to comply with preconditions to foreclosure stated in the mortgage. Void foreclosures can be challenged up to 20 years afterwards. A foreclosure is voidable if the power of sale and the preconditions in the mortgage are complied with, but the manner in which it was conducted was fundamentally unfair or perhaps violated some other law. In all likelihood, you need to assert a claim to undo a voidable foreclosure within the statute of limitations of some other law. For example, if you have a claim under the consumer protection statute, M.G.L. section 93A, there is a four year statute of limitations from the time of the unfair or deceptive act. If you have a tort claim, you may have to bring the case within three years. You should consult an attorney about whether your unlawful foreclosure claim is a claim that the foreclosure was void or voidable. Everything in this article is directed at what it takes to preserve your claim of illegal foreclosure. Of course, it is not enough to have your case in court. You need to actually win your case in order to undo the foreclosure. The legislature has set up a tough procedure for illegally foreclosed homeowners to undo the harm that was done to them. It might seem very unfair that a bank can abuse you, deceive you, and illegally foreclose on you without going to court, yet you have to go to court and follow an unclear procedure just to avoid losing your home. For better or worse, this is the process that your elected representatives have chosen to impose on you, so you need to take care to comply with it. 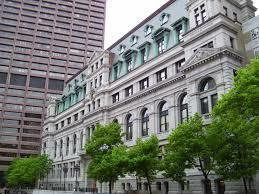 I had the honor of arguing before the Massachusetts Supreme Judicial Court (“SJC”) this week on a foreclosure appeal. The SJC is Massachusetts’s highest court and the final decision maker on Massachusetts law. The SJC often takes cases where the law in a particular area is uncertain. In recent years, the SJC has heard an increasing number of foreclosure cases, which shows that this area of law continues to evolve. My appeal concerned whether G.L. c. 244, § 15A, a law requiring a mortgagee to inform a local municipality about a foreclosure sale thirty days after it happened, is a requirement of the foreclosure process. Different courts across Massachusetts have taken different positions on this, making this a matter that the SJC needs to resolve. Click here to watch the oral argument. My experience before the SJC reminded me of the importance of having an attorney who knows and understands the process of pursuing an appeal. A appeal is a review of a case that was heard before a trial judge or jury; the appellate judges do not hear the testimony of witnesses or review evidence, and are limited to reviewing the entire record presented in the lower court. A foreclosure appeal is a particular challenge to bring: foreclosure law constantly changes, and a successful appeal requires knowing and understanding the most recent changes in the law. My appeal will likely be decided in the next three to four months, stay tuned! I was deeply humbled by my appearance before the SJC. With the recent election forcing many Americans to look closely at our form of government, I had a chance to see Massachusetts’s highest court up close. I many not always agree with the SJC’s decisions, but I can’t doubt the Court’s sincerity and devotion to the “rule of law” in our state. I’m proud to be a Massachusetts attorney and look forward to continuing my practice in this great state. If you are in need of an appellate attorney, contact me for a consultation. The importance of having an experienced appellate attorney on your side can be the difference between winning or losing your case. A recent Massachusetts Supreme Judicial Court decision illustrates the importance of properly appealing a foreclosure case. The Court’s decision reaffirms that a homeowner has one–and only one–opportunity to appeal an unfavorable court decision. In Eresian v. Merill Lynch Credit Corporation, the Supreme Judicial Court upheld the denial of a homeowner’s attempt to overturn a decision in a foreclosure case from the 1990s. The homeowner attempted to file an appeal of this decision in 2015, years after the 1993 foreclosure case. The Appeals Court rejected this appeal, and stated that the case was closed. The homeowner then attempted to petition the Supreme Judicial Court for a subsequent order to review her prior decision. Here, the Supreme Judicial Court rejected this requested relief, noting that the homeowner had already obtained an appeal of her decision, and there was no reason for the Court to allow her the opportunity for another review of the case. The Court’s decision in this case reaffirms an important lesson for homeowners fighting foreclosure: there are few, if any, “do overs” in matters of law. If a homeowner loses their foreclosure case and wishes to appeal, they get one–and only one–chance at appeal. Rarely will a homeowner ever be able to come back later for a second shot. With this in mind, homeowners should strongly consider consulting an experienced foreclosure defense attorney in appealing a foreclosure case. The risks of not doing the job right the first time just aren’t worth it.